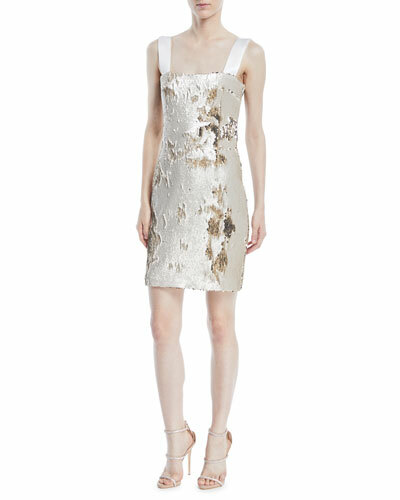 A desire for a new kind of eveningwear - modern, clean, cool - lies at the heart of Galvan. The London-based brand is the brainchild of four women with diverse yet complementary backgrounds in fashion and contemporary art: Sola Harrison, Katherine Holmgren, Anna- Christin Haas and Carolyn Hodler. The Galvan collection reflects their shared longing for a more cosmopolitan approach to evening, for something fashion-forward yet timeless. Based in London and founded by four women with backgrounds in fashion and art, Galvan is a collection of gowns and eveningwear designed by women, for women. 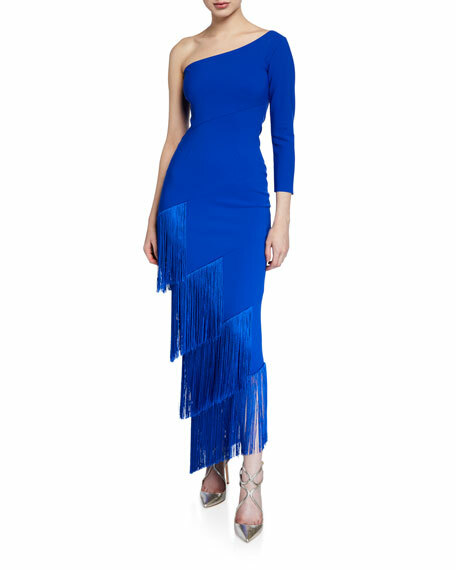 Galvan aims to make formal apparel suitable and accessible for younger generations, but its chic and sophisticated designs are appropriate for women of all ages, offering both trendy dresses and sleek separates. 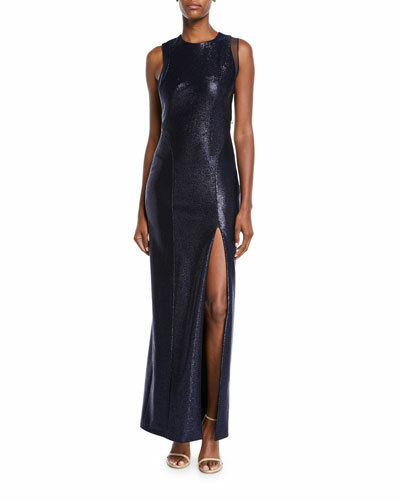 Full-length sequined gowns in electric hues, lush jewel-tone velvet, and finely draped silk and satin comprise the Galvan London collection, presenting bold new options for women who eschew the traditional. 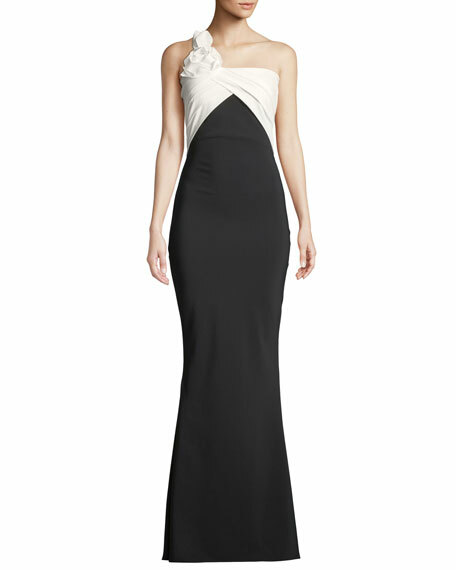 Shop a selection of finely made evening wear and formal attire from Galvan at Bergdorf Goodman. 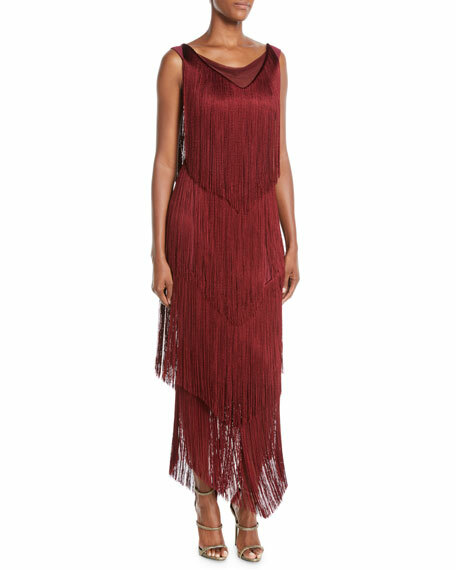 Chiara Boni La Petite Robe "Pippi" asymmetric dress with tiered fringe trim. One-shoulder neckline. 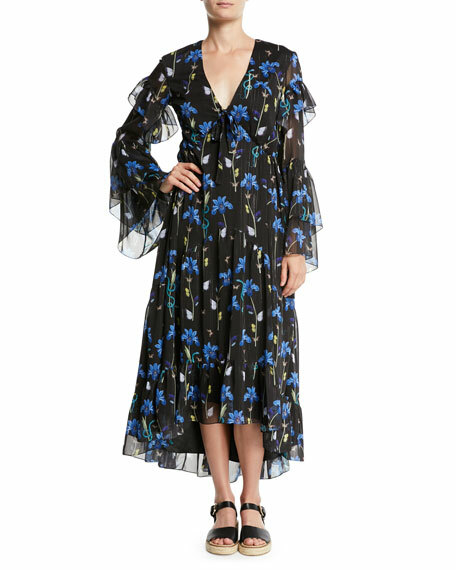 Sleeveless right; three-quarter left sleeve. Body-con silhouette. Full-length. Raw-edge hem for ease of tailoring. Step-in style. Nylon/spandex. Made in Italy.